March 2012 – CREATE. PLAY. TRANSFORM. Summer is the best time for kids, teens and adults to learn something new. Parents are busy planning for trips and looking for fun activities that they can share with their children. Some of you may be thinking, “I wonder if there is something unique we can learn this year.” Let me answer that by saying, yes indeed! 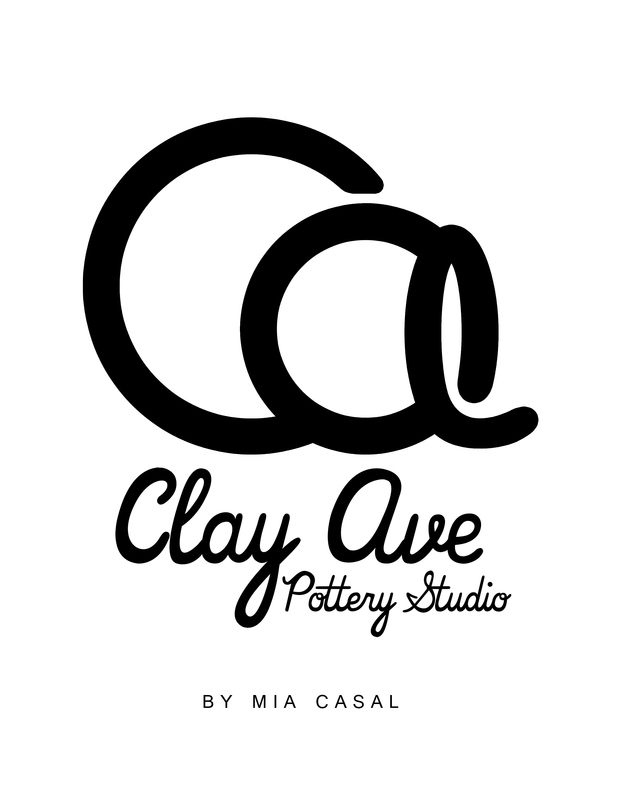 Clay Ave Pottery Studio is located at 27 Riverview Drive, Blue Ridge B, Quezon City. There are different batches for the classes in the summer to choose from. Special schedule for Saturday classes can be arranged, for those who couldn’t come on weekdays. Here’s what you can learn: The Basics of Hand Building Pottery and The Basics in Wheel Throwing. Students are required to learn the Basics of Hand Building first before learning to use the potter’s wheel. No previous background in working with clay is needed! Kids from age seven years old are welcome to join the classes. Slots are starting to get full! Please visit http://clayave.weebly.com to see more details about the summer program, schedule, policies, and see who are getting their hands dirty with clay at the mud pit in Manila! Enroll before the Holy Week and get a 5% discount from the lesson fee! Please send an e-mail to clay.ave@gmail.com for more inquiries or contact Mia at 9665168 or 09178071978. 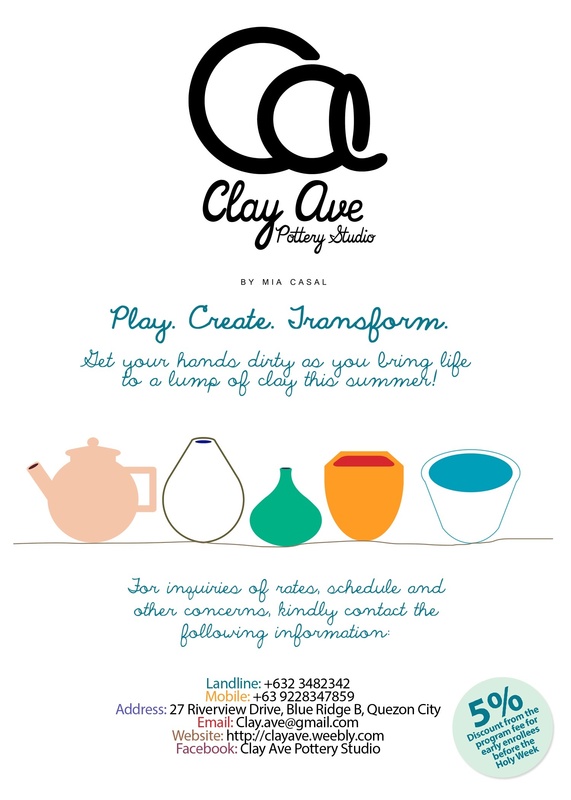 I hope to see you get your hands dirty with clay this summer!